Make these simple jingle bell ornaments as tree decorations, gift toppers or to hang anywhere else you want to add some sparkle this Christmas season! 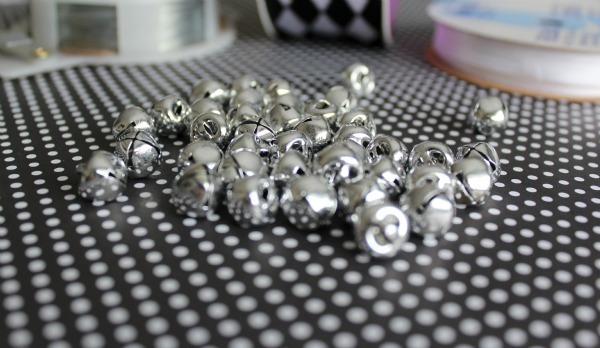 As I was going through my Christmas storage totes last week to see what I had for wrapping supplies, I came across a package of tiny silver jingle bells I bought at the end of last year’s holiday season. To tell you the truth, I didn’t know what I was going to do with them back then, but it’s hard to pass up on a great deal (especially when it’s something so adorable). Last year, I made simple jingle bell ornaments to dress up some handmade gifts using large, colourful, and sparkly options that seemed to stand alone. However, I knew these smaller ones would require a little more work to create something with impact. Luckily, I had a little motivation from my friend Shannon, who inspired a group of home bloggers to create a Christmas ornament or other holiday decoration to share in an upcoming free ebook. So much fun! These jingle bell mini wreath decorations are super easy to make, but my-oh-my do they add sparkle to almost anything you want to decorate for the holidays! They’re a beautiful handmade gift idea too for teachers, neighbours, grandparents or someone else on your list. I picked up many of the supplies for this project at Michaels. I’ve also included affiliate links to similar items and products below. That means I may earn a small commission from your purchase without an additional cost to you, so thanks! To start with, cut a 16″ length of wire and loop back one end about 1″. 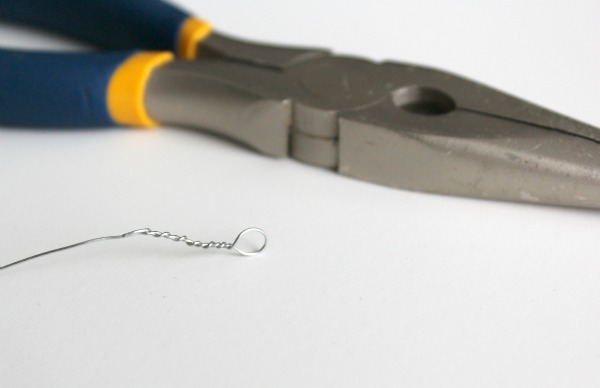 Using the needle-nose pliers, wrap the end around until you’re left with a tiny loop and the end is secure. Start feeding the bells onto the wire, making sure the first one is tight against the loop and each additional bell is as close as possible. After you get about a 7″ strand of bells (depending on how large you want your wreath to be), feed the end through the loop you made earlier and secure it by wrapping the wire around the bells a few times. Cut the end off with your wire cutters and reshape the whole thing into a circle. Attach a piece of ribbon for hanging. So simple! 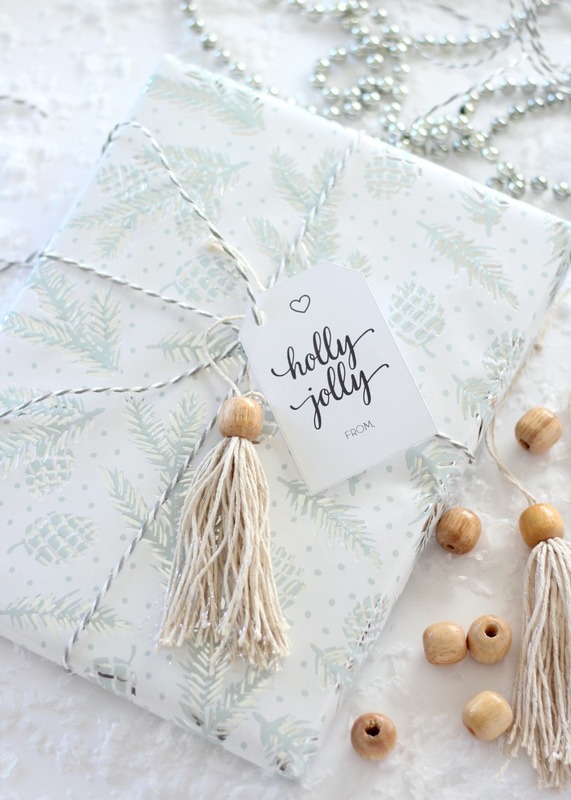 Aside from the obvious option of hanging these jingle bell ornaments on the Christmas tree, you can also try tying them to gifts or using them to embellish everyday decorative accessories in your home during the holiday season. Adjust the length of the ribbon depending on what you’re attaching them to. Hang them anywhere! 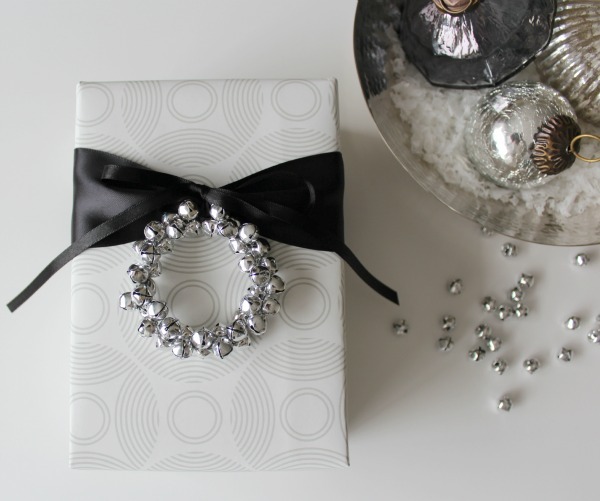 Or, leave the ribbon off completely and use them as napkin rings for your holiday table. Not sure you’ll have time to make your own? I found these cute ornaments on Etsy. 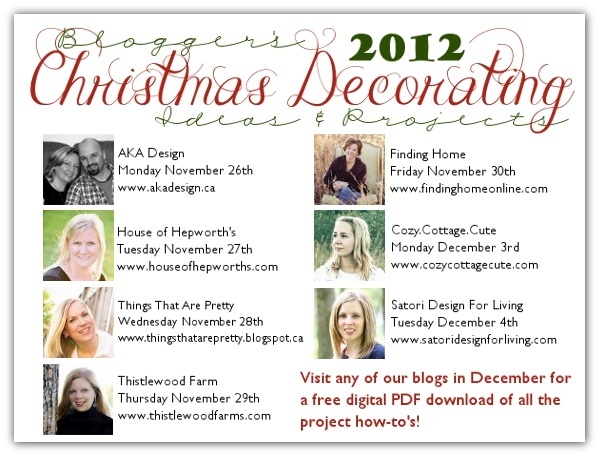 Be sure to check out the other DIY Christmas projects by visiting each of the participating blogs. I want to extend a big thank you to Shannon for organizing the whole series! Later this month, I’ll also have the book available for you to download for free, which will include photos and tutorials of all these fab Christmas projects. Update: Get the free Christmas decorating book with all of the tutorials! 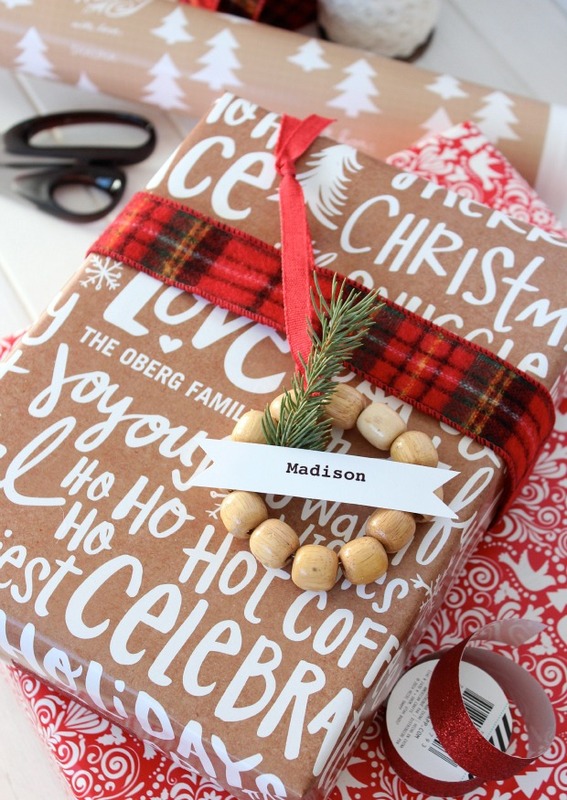 Looking for other Christmas craft ideas? 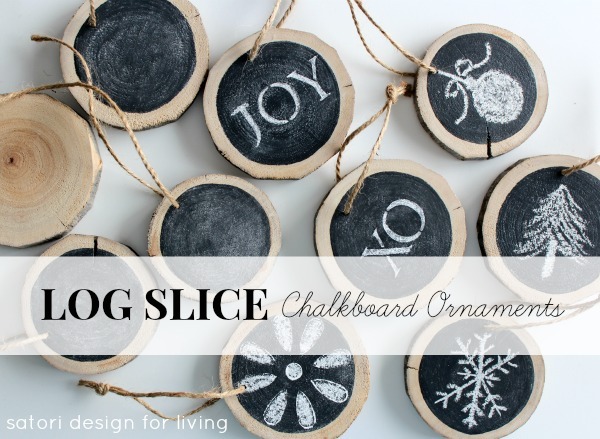 Try making these log slice chalkboard ornaments to decorate your tree or embellish gifts. I also whipped up these wood bead mini wreaths. Not as fancy, but I think they’re pretty cute. And these shabby chic Christmas gift toppers are fun to make too! You can also check out the Winter & Christmas Project Gallery for many more craft and decorating ideas! What a cute ornament! I love the jingle bells! Thank you so much for sharing and inspiring me today! Thank you, Karianne. So glad Shannon “introduced” us! Love these Shauna! Can’t wait to see the project book. These are sooo cute Shauna!! Perfect for that little something extra on your Christmas gift. Wow. These are so shiny and pretty and simply elegant! Great job! Beautiful photography too! Thank you, Heather. We had gloomy weather the entire week, but the pictures still came out pretty good. I’m so glad Shannon “introduced” us, and I look forward to following your blog. These are adorable and look oh so easy to make! I especially like them as a gift embellishment. Erin, they are so simple and relatively inexpensive. I’ll definitely be making more. Wow, these are adorable! I love the sparkle…..will have to remember this one. Pinning! Oh how adorable and easy are these? Perfect for that little extra something on a gift! Love!! These are beautiful! I love how they look on the wrapped present! What a great touch! I made these last night but with the medium size bells and they turned out adorable. 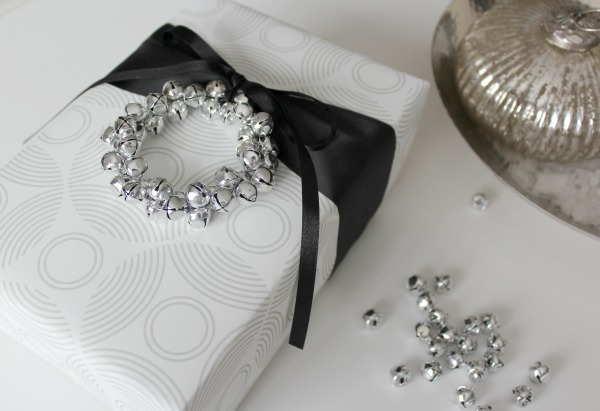 I plan to put them on Christmas gifts to add a special something to the outside and give them a little glitz. Adorable idea so glad I found it. I want to go make more because they were so easy and fun to make! Very festive!! They’re super easy, aren’t they! So glad you found the tutorial and had a chance to make them. I’d love to see photos! I got them on my presents and love them they turned out great. How can I upload a photo to show you? Oh great! Email it to me and I’ll share it on next week’s Holiday Countdown. These are adorable, Shauna! 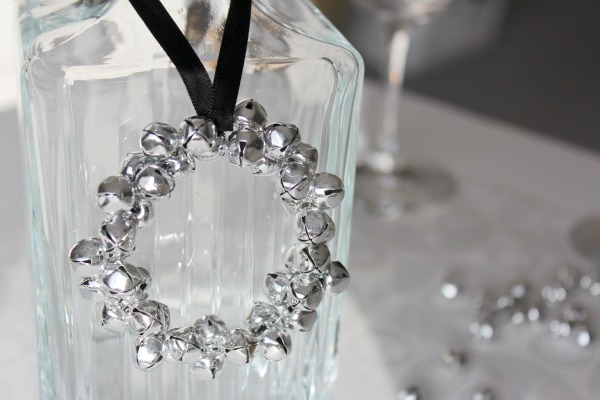 I love them and can think of all kinds of places to use the finished bell wreaths. Thanks for sharing. I love how versatile these are. Beautiful! 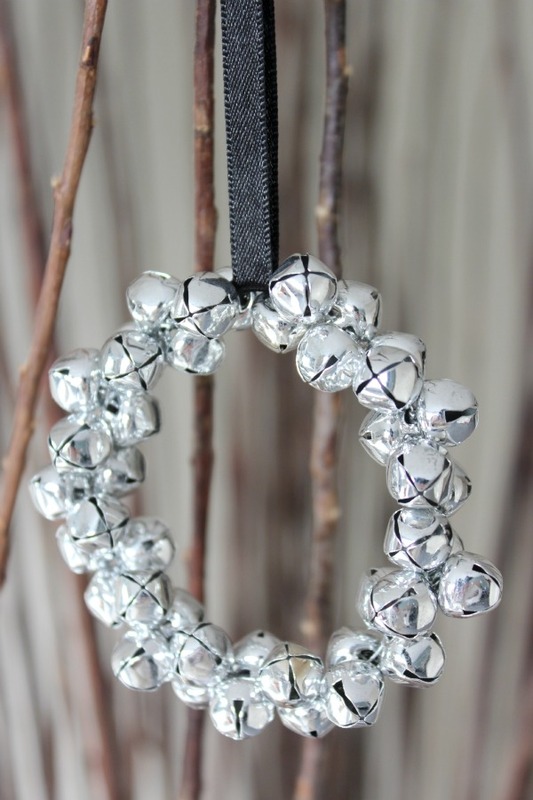 I love the tiny bells as an ornament, but the shiny jingle bell wreath would also be a festive and fun necklace for the holidays. I even like the contrast with the black ribbon as opposed to a chain. 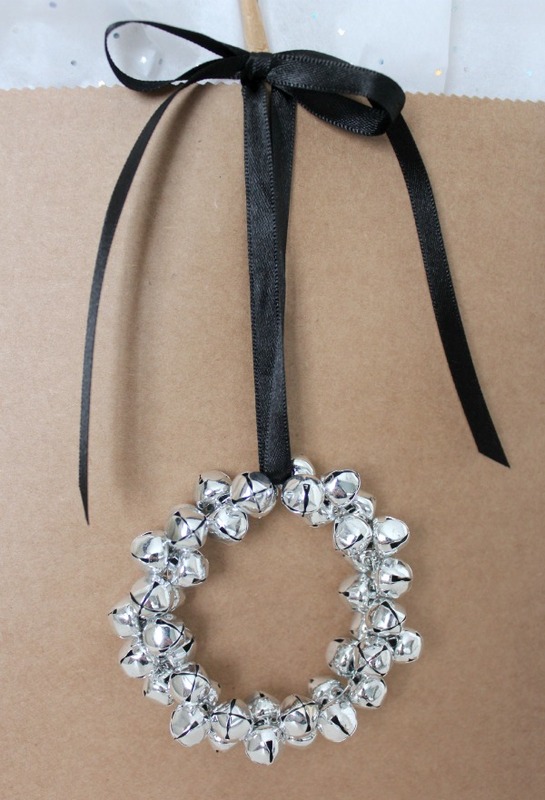 I’ve not made jewelry, but I would think by adding a jump ring that you could make the wreath lie nicely with the ribbon . I hope I can find some tiny bells now so I can try this. What a fun idea! I do have a bunch of “rusty” bells that would make cute country-primitive wreath ornaments. Thank you for the ideas. 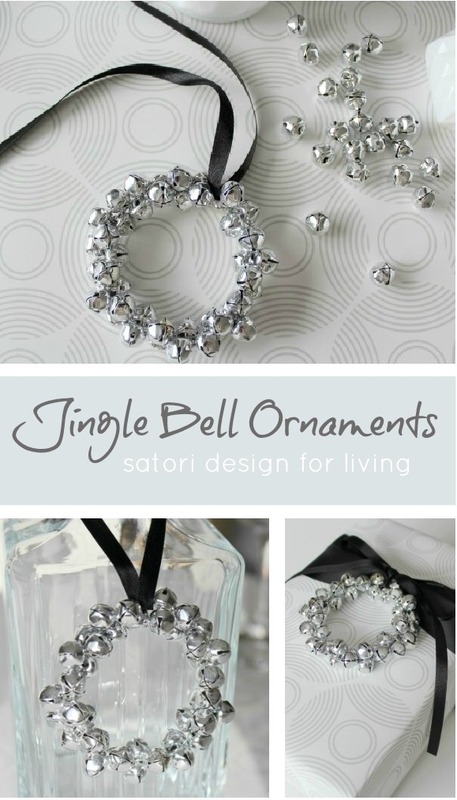 I’m completely in love with these Jingle Bell Ornamants. 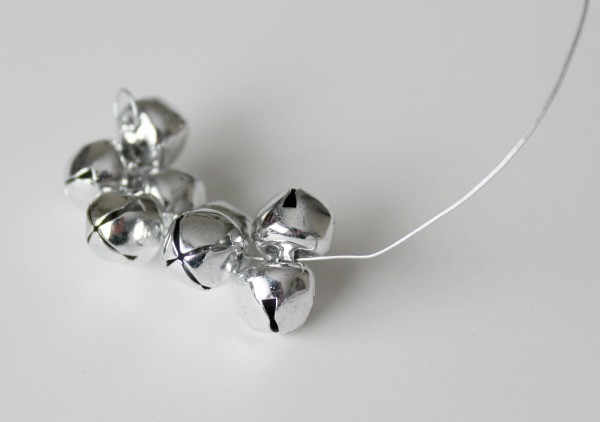 I love the way the tiny bells sound and I think they look amazing both as an ornament and a gift topper. This is one of those crafts that people would take off of their gift and hang directly on their tree. So happy Pinterest put this in my feed. What size bells did you use? I’m having a hard time deciding if those are 1/4 in or 1/2 from the picture. Hi Jenna, I updated the supplies list to include the measurement I used. They’re 3/8″ or 10mm. Of course, almost any size would work depending on the look you’re going for.